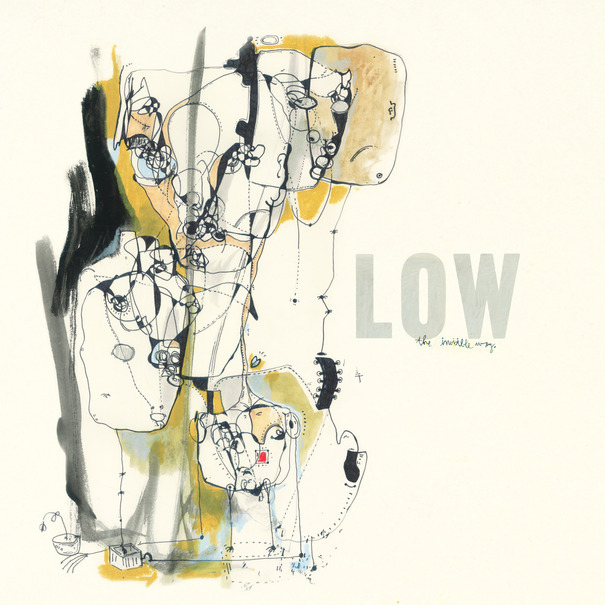 This may seem like an insane thing to say, but Low are a band that plays a dangerous game. What I mean by this is that Low have built their career around a pair of double-edged swords: pleasantness and consistency. For the last 20 years they’ve put out a steady stream of albums marked by slow tempos, soft and stripped down instrumentation, and soothing vocal harmonies. While the quality of their work has never truly faltered, this consistency has rendered them somewhat predictable and the relaxed and agreeable nature of their songs can make it very easy for them to slip into the background. To combat this they’ve learned to make mountains out of sonic molehills. Their minimalism allows each small shift in sound to take on momentous weight. Along with making subtle shifts in arrangement and production from album to album, this has given the group a great deal of longevity. The shift on The Invisible Way is a paring down from the relatively florid arrangements of 2011’s C’mon. Low and producer Jeff Tweedy (most famous for his position in Wilco) show remarkable restraint in their sonic palette. Outside of the two closing tracks, every song on the record features identical instrumentation, only trading the acoustic guitar in for the electric on occasion. On top of this, the instruments are panned and mixed exactly the way on every song. Even with so few ingredients, Alan Sparhawk and Mimi Parker craft a surprisingly varied batch of tunes. Part of this comes from the difference in approach between the two singers. Sparhawk is the more lyrical of the two, and writes more active melodies to accommodate his wordiness. Parker on the other hand stretches her phrases out, making it difficult to keep track of the lyrical focus, and even then she tends to find a single couplet and repeat it incessantly like on “Just Make It Stop”. The most striking difference is in their use of harmony. On the Sparhawk songs, Parker will provide a soft harmony in the background, where on her on track’s she’ll pile on up to 3 different harmonies around the lead. This lushness of sound more than makes up for the somewhat uninteresting nature of the lyrical content. On the instrumental front, this album is driven almost entirely by the piano. All of the most interesting harmonic motion happens on the keys, whereas the guitars are often only present for texture. The piano also gets the most effective lead melodic moments, like the twinkling high notes on “Amethyst” or the climbing chord progression on “So Blue”. The album’s biggest misstep comes when it takes the focus away from the keys and places it on the guitar, like on the second half of “On My Own”. That particular song started weak, and it’s explosion into noisy distortion is initially thrilling, but overstays its welcome and ultimately becomes just as static as the first half. Closing track, “To Our Knees” also coasts on atmospheric mixing instead of delivering the simple hooks that Low usually excel at. The underlying question behind The Invisible Way is the same question facing most newer albums by extremely consistent artists, namely, is this even really necessary? To be sure, Low aren’t going to reinvent themselves, or anything else for that matter, and newcomers will probably be more interested in their classic back catalogue. However, a dramatic shift in sound wouldn’t befit a band with such humble goals. The music certainly hasn’t suffered from a lack of innovative ambitions, and who are we to question their commitment to the subtle and understated?